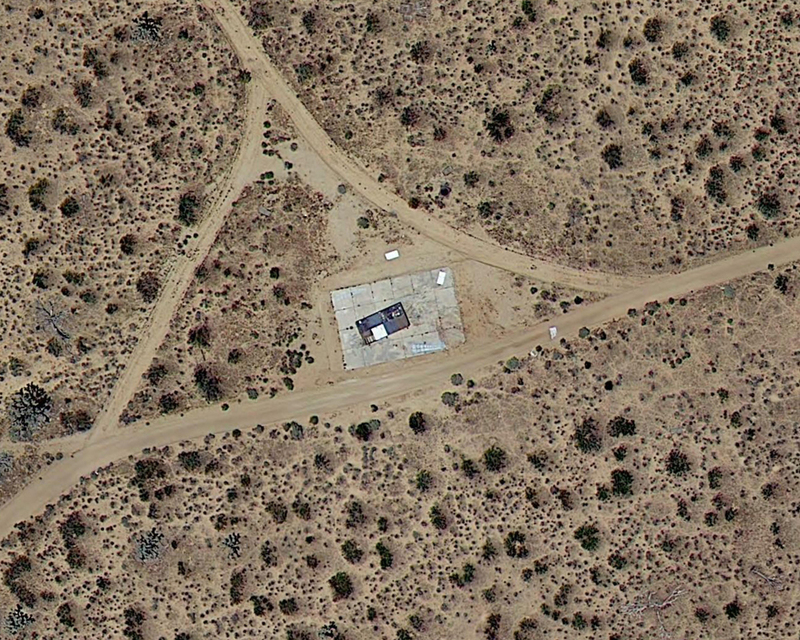 Aerial photo calibration targets are curious land-based two-dimensional optical artifacts used for the development of aerial photography and aircraft. They were made mostly in the 1950s and 1960s, though some apparently later than that, and some are still in use, though their history is obscure. 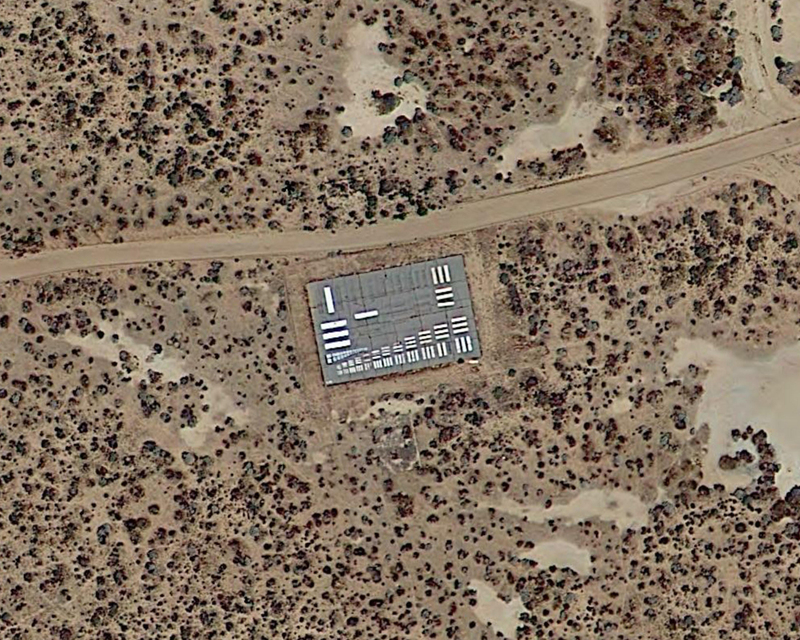 Most of them follow the same general form established by the Air Force and NASA (and prior to 1958, its precursor agency, NACA): a concrete or asphalt pad constructed flat on the ground, 78 feet by 53 feet, coated in a heavy black and white paint. 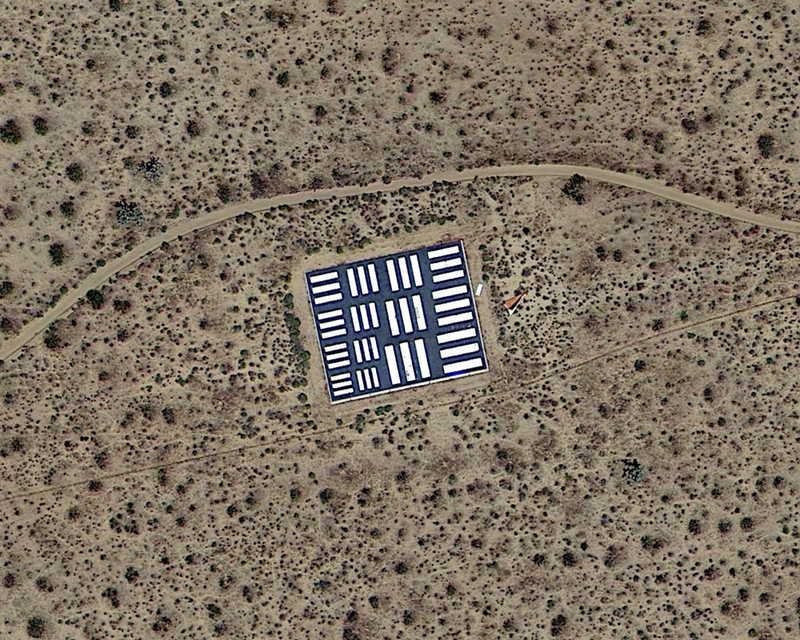 The pattern painted on the targets is sets of parallel and perpendicular bars duplicated at 15 or so different sizes, and, sometimes, a large white square. 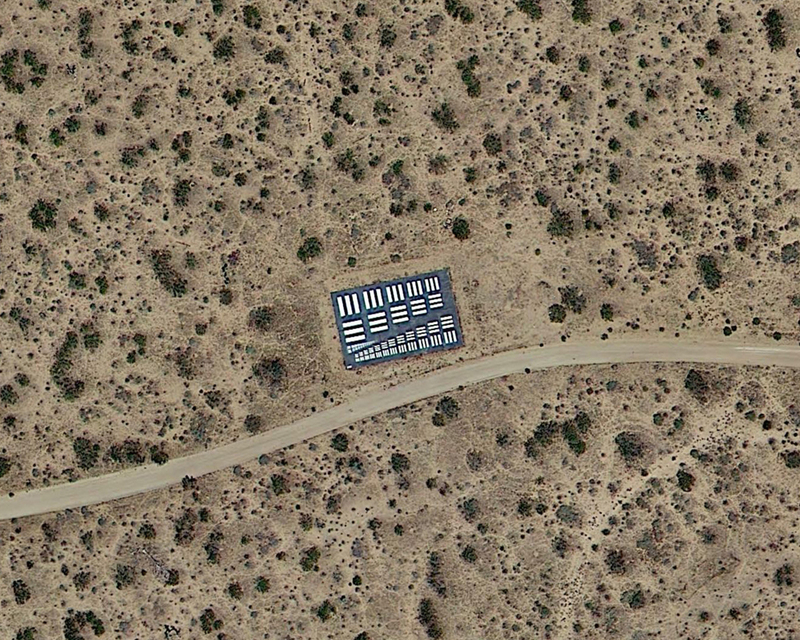 The configuration is sometimes referred to as a 5:1 aspect Tri-bar Array, and follows a similar relative scale as a common resolution test chart known as the 1951 USAF Resolving Power Test Target. This type of test pattern is normally used as a printed chart in an optics lab, to determine the resolving power of microscopes, telescopes, cameras, and scanners. Their outsized, outdoor brethren are in the laboratory of the landscape. 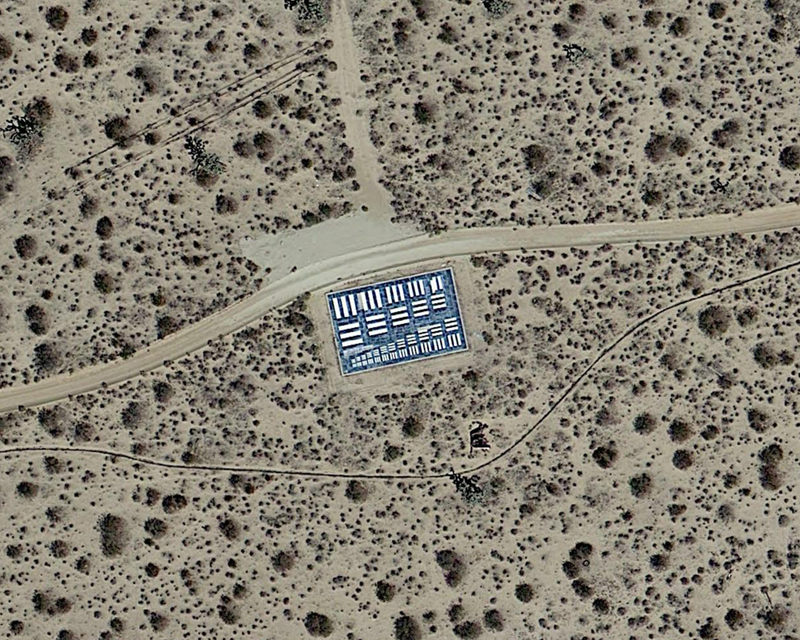 Many of these resolution test targets are found in the Mojave Desert of California, one of the principal development and test areas for surveillance aircraft. Some of the most sophisticated aircraft made by the nation, like the A12 and SR-71 Blackbird and the U-2, were unarmed, and designed to be used only as flying cameras. 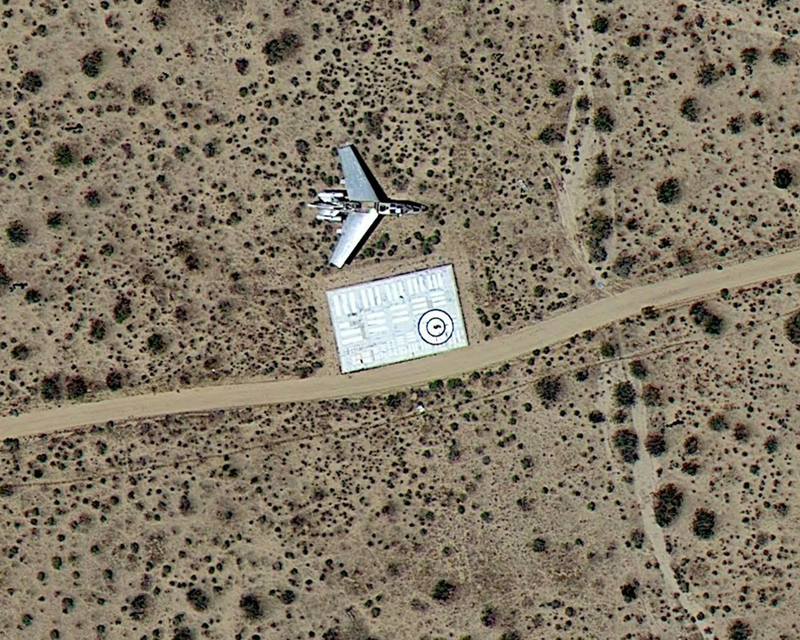 The X-15, which still holds the record for the fastest manned aircraft, flew over these targets in the 1950s carrying Fairchild and Hycon cameras, pointed at the ground. 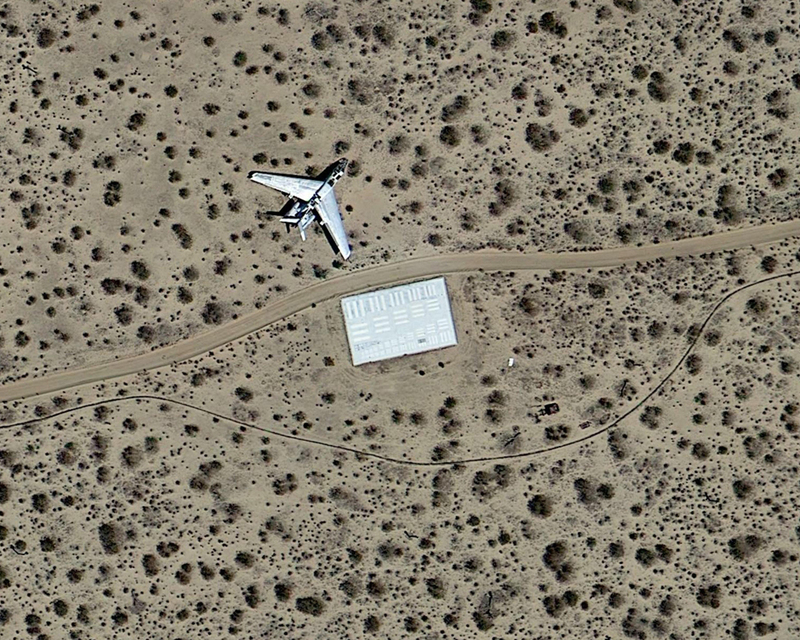 Drones, developed and flown extensively in the Mojave, were also developed as camera platforms. Initially at least. 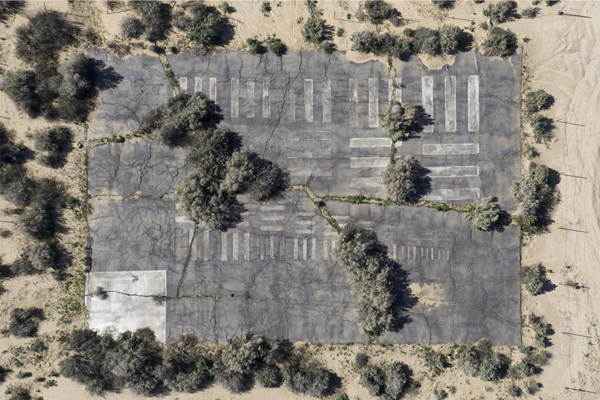 These three aerial photographic calibration targets remaining at Cuddeback Lake, in Southern California, are relics from the aerial viewing revolution. 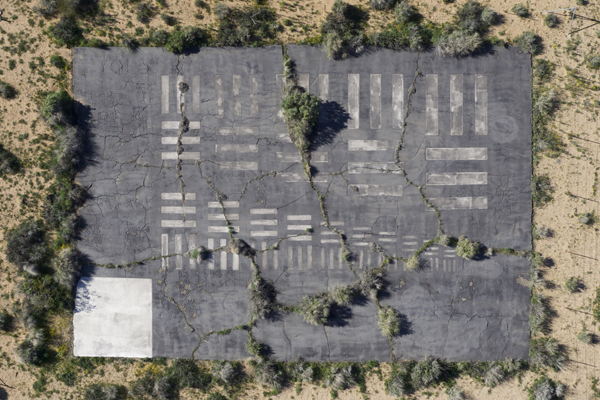 Designed to measure and calibrate cameras on spy planes from the era of analog photography, these terrestrial test patterns are now obsolete, and decaying. Brush is breaking through the paved surface, forming dendritic cracks, attacking the precision of the rectilinear test bars. The two dimensional graphic is becoming a three-dimensional landscape again. Photographs by CLUI. 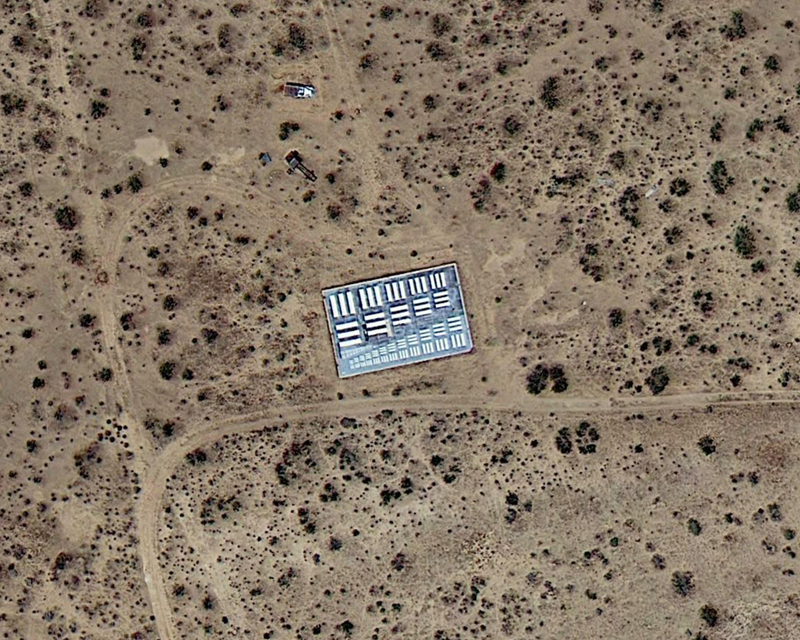 Though apparently still used for some optical camera testing and calibration, the standard tri-bar photo targets are definitely a thing of the past. The 1951 Resolution Test Chart on which it is based is more than 60 years old and was designed for film cameras, and predates high-resolution digital systems and CCDs. The arrangement and spacing of the lines is not well suited for computer analysis (it’s not a continuous single row, but two or three rows of pairs), and it has other frequency and modulation issues that make determining sharpness by digital means inaccurate. The Air Force officially cancelled the chart, known as MIL-STD-150A, for photographic lenses in 2006, without replacement. 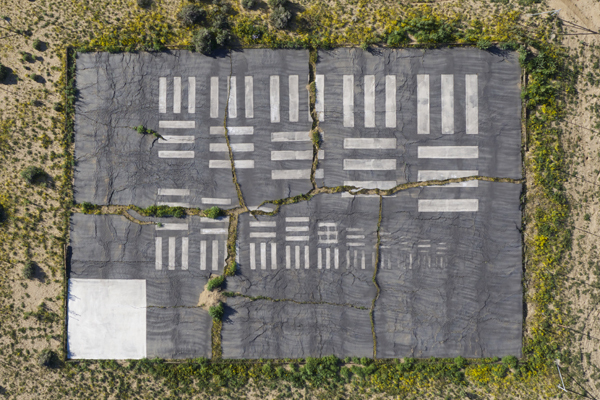 The outdoor landscape test patterns are mostly abandoned and decaying. 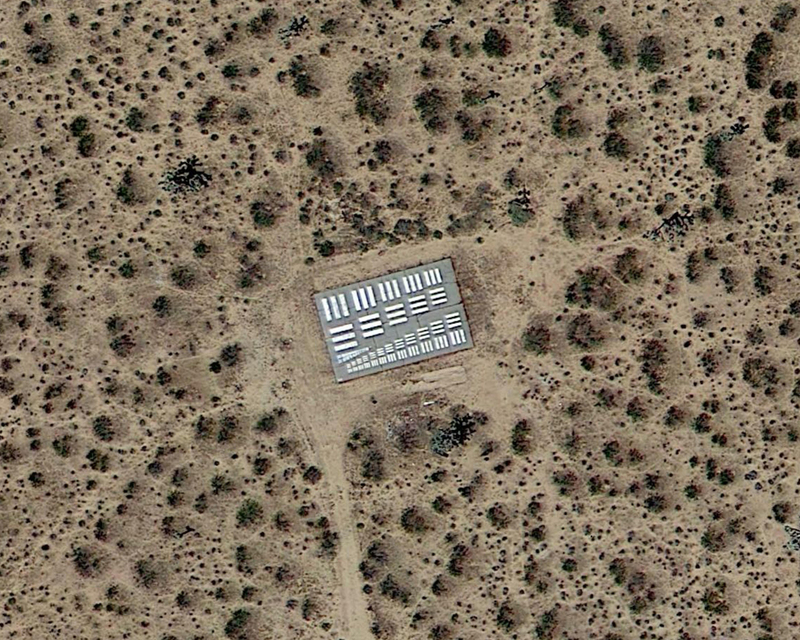 These analog targets, built for secret spy planes and hidden in plain sight, are now obsolete, but visible to the world through satellite imaging in the digital age. 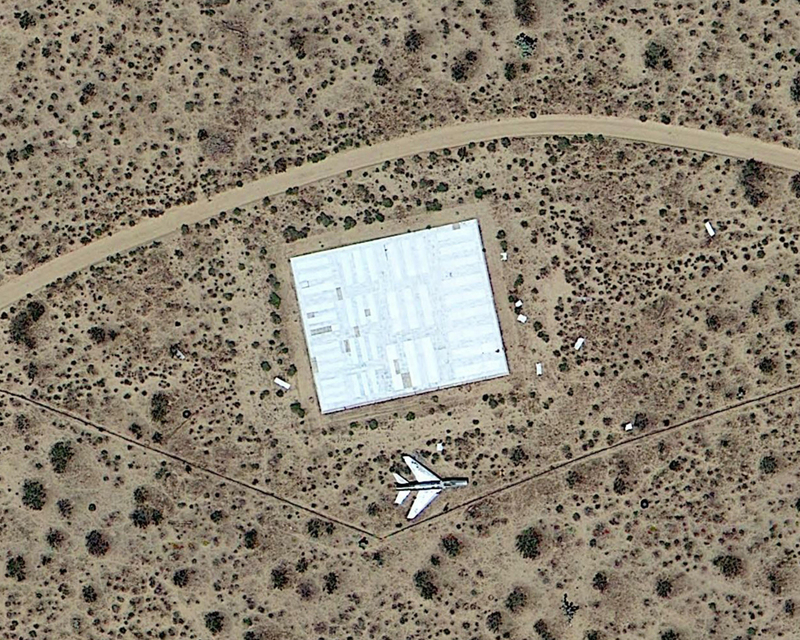 There are dozens of these photo targets in the United States, mostly near runways at military bases. 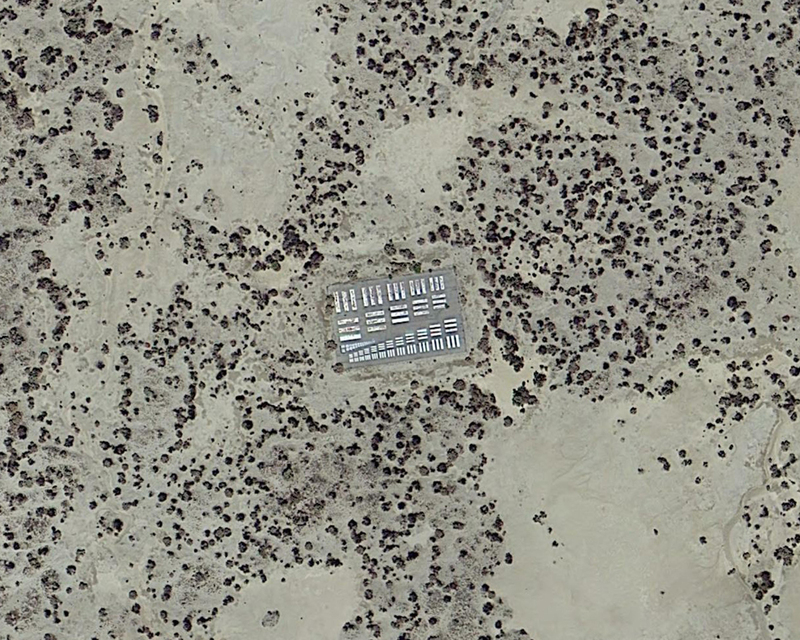 The largest concentration of them is on the grounds of Edwards Air Force Base, in Southern California, in an area referred to as the photo resolution range, where more than a dozen targets are spread out along 20 miles on the southeast side of the base, in a line, so multiple targets can be photographed in one pass. 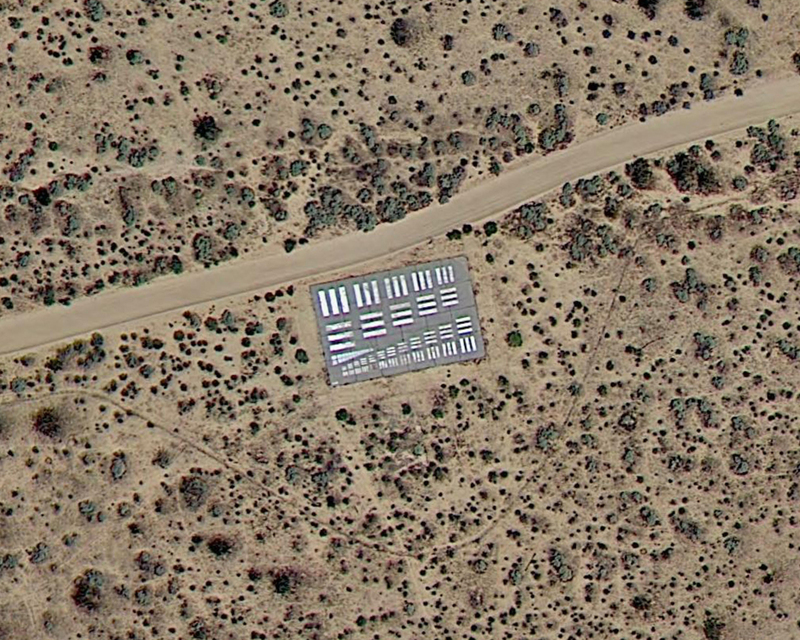 There is some variation in the size and shape of the targets at Edwards, suggesting updates and modifications for specific programs. 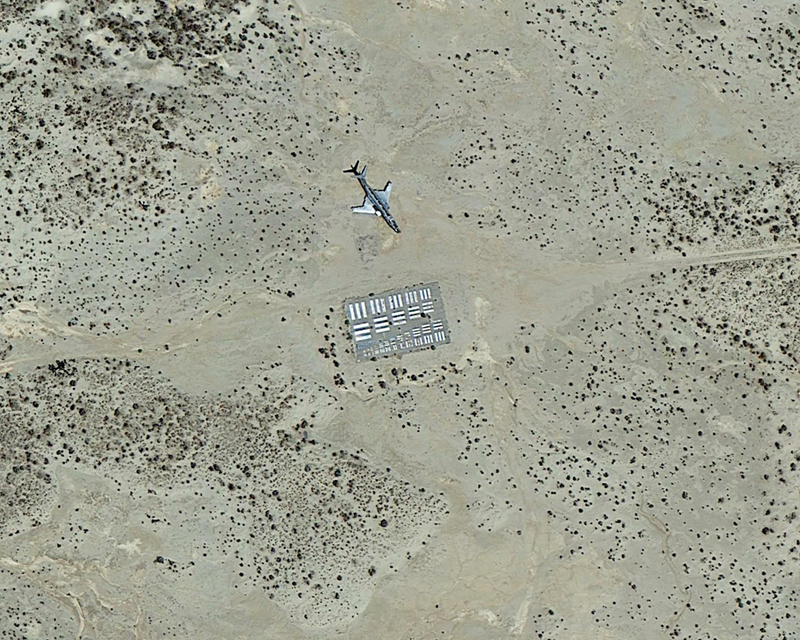 A number of the targets there also have aircraft hulks next to them, added to provide additional, realistic subjects for testing cameras. 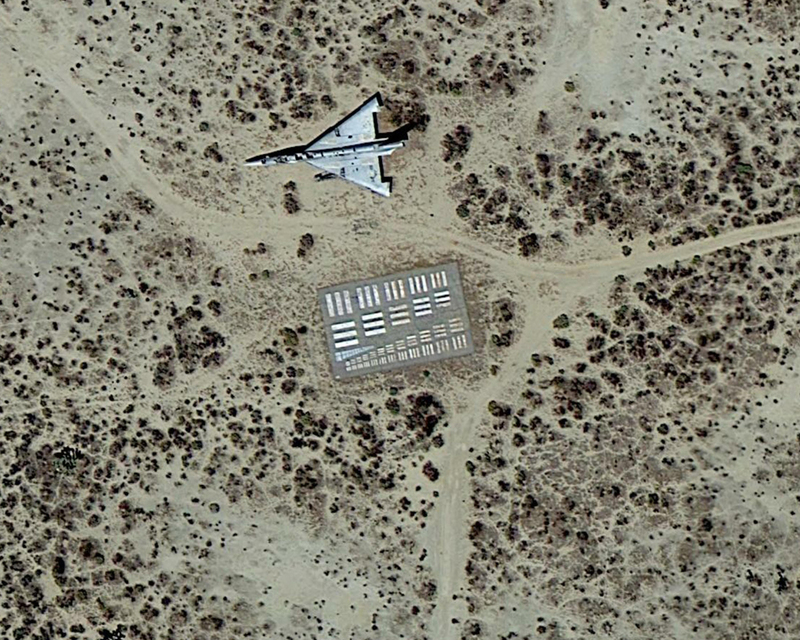 Some of these planes are themselves unusual and rare military jets, officially in the collection of the base museum, despite being left out on the range. 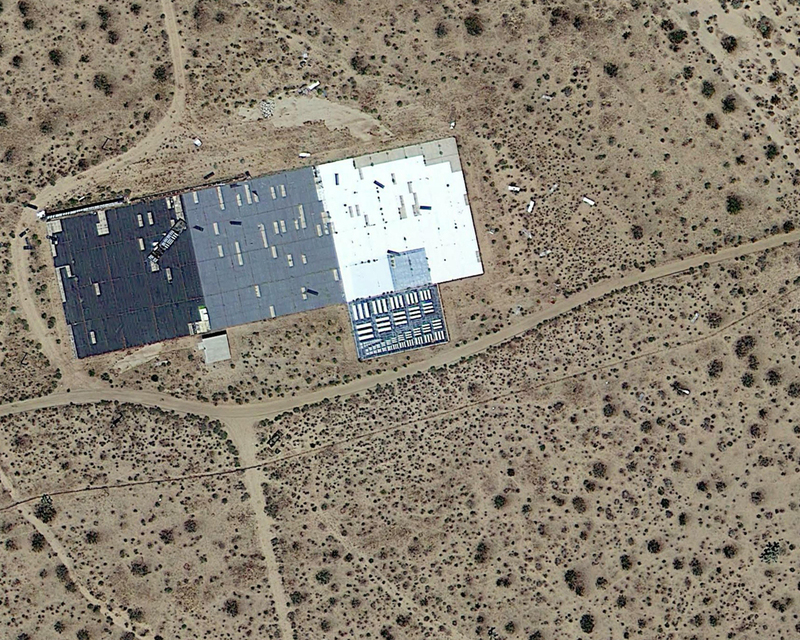 The following images are from Google Earth.